“I want a divorce.” These are four words most spouses never want to hear. 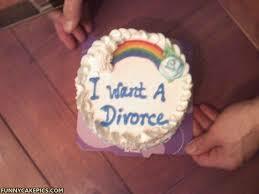 Unfortunately, statistically speaking, approximately 50% of marriages end in divorce. If you are reading this, then you are more than likely on either the receiving end of these words, or are looking for ways to tell your spouse that you want to end your marriage. How do I tell my spouse that I want a divorce? Clients routinely ask me this question. While I can’t tell you the best way to tell your spouse that you want a divorce, I can tell you several ways that I’ve seen other clients do it. How you choose to do it depends on the situation you are in. You want the divorce, but your spouse doesn’t know. This is typical if you are still living in the same bedroom. You may have already been to marriage counseling. Your spouse may be in denial. This is one of the most difficult situations to be in, and one of the hardest to tell your spouse. Both you and your spouse jointly want the divorce. This is the easiest situation, if you can actually call moving forward with divorce easy. You want the divorce, and your spouse knows it. You have probably moved into separate bedrooms. Your spouse is probably in denial, and you need to find a way to break it to him/her that you need to separate. They do it in marriage counseling. This is a very common and safe way to tell your spouse you want a divorce. They do it in a public place. It seems very cliché, but it does happen. They get in a big fight (one of many), and one spouse decides that they want out. This is frequently followed by a reconciliation period when both spouses come to their senses, but sometimes it is not. They tell their spouse over the “kitchen table” or some other calm, quiet spot. This is most frequently used by couples that jointly want out, and they both know it. In North Carolina, you must be separated for one year to get a divorce. I’ve seen clients who have just decided to leave, without telling their spouse that they want the divorce. Instead they leave a note or make a phone call after they have left. While I do not frequently recommend this approach, it is sometimes used when domestic violence has been an issue in the marriage, or if there is some other perceived power imbalance. If you are not sure how to tell your spouse that you want a divorce, I encourage you to speak with a divorce lawyer or marriage counselor first – before you make that decision. How you tell your spouse that you want a divorce can have a huge impact on the rest of your case. Fill out our online contact form here or call our office at (919) 883-4861 to set up an initial meeting with our firm. Previous Post: « Getting remarried with kids? Maybe you should think again.